The new display panel has arrived, and was promptly fitted. Immediate thoughts were that it switched on and worked out of the box! Second thoughts were that the settings were also pretty good out of the box, with the exception of the top speed, which was set to 25kph. This is fine in those countries with a speed limit, NZ only has a power limit (300w) so I can set the speed limit to anything I like. The number of PAS settings was set to 9, which I have left. One nice feature is that the clock works exactly as it should, and maintains time when switched off or the battery is disconnected, so whatever gave me the idea in the blog below was obviously incorrect. 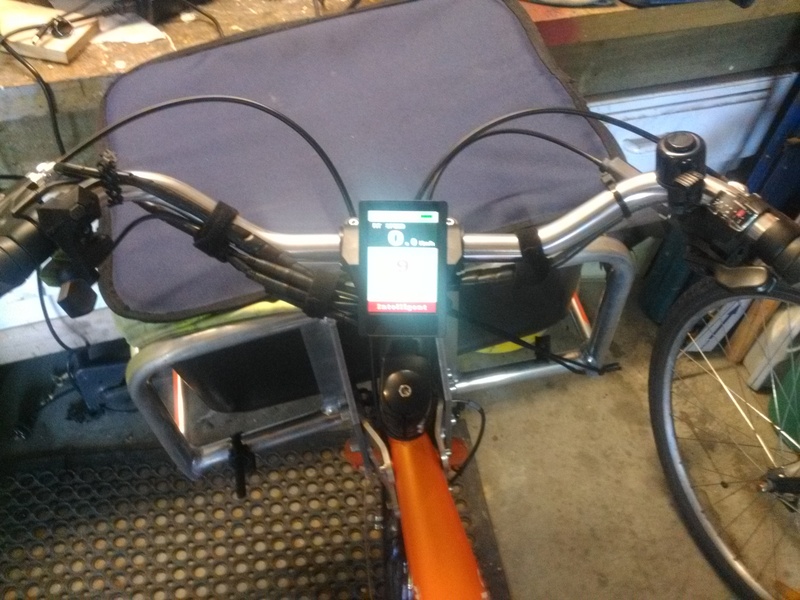 The main display unit fits nicely over the handlebar extension, tucked down out of harms way if I have to turn the bike over to work on tyres etc by the side of the road. I rerouted the main loom and associated cables so they run under the handlebars rather than across the top or on the front. A wire runs from the display to the buttons which you can see on the left hand end of the bars. The buttons can fit over the throttle mounting, giving very easy access with the left hand without any significant movement of the hand. Very ergonomic! 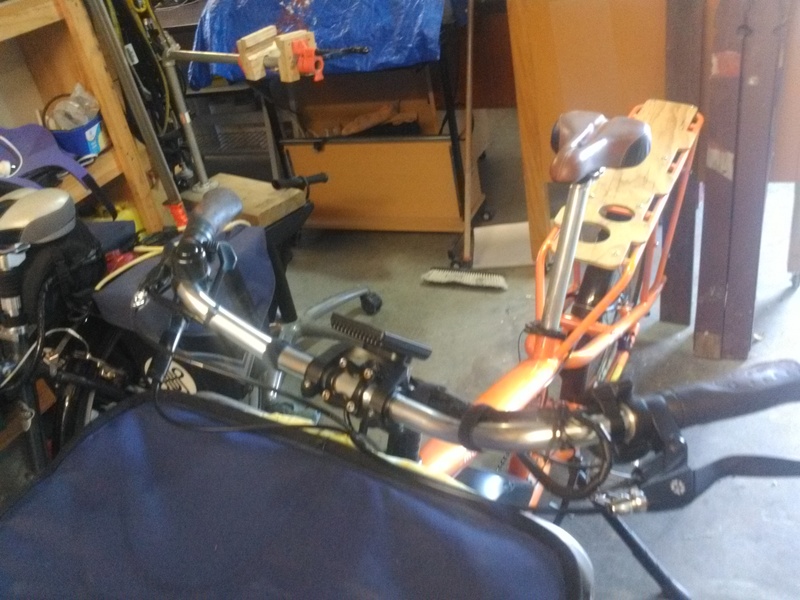 I downloaded two manuals for the device, one from a USA retailer (Luna cycles , or Empowered Bikes possibly) and one from the manufacturer (Tianjin APT Science and Technology Co. Ltd). They are noticeably different, in that the manufacturer’s version has 4 extra pages, mostly covering a whole bunch of very attractive advanced features, which duplicate some of those in the controller firmware. When I saw these I really got quite excited, thinking I would have lots of options to control the response of the motor to my riding style. Unfortunately, the reality is that when fitted to my BBS01B motor and controller, only the options documented in the retailers version of the manual are available! Most of the options are to do with display, analogue versus digital, watts or amps, level of brightness. Others are operational, such as number of PAS settings ( 3,5 or 9), wheel size and speed limit. 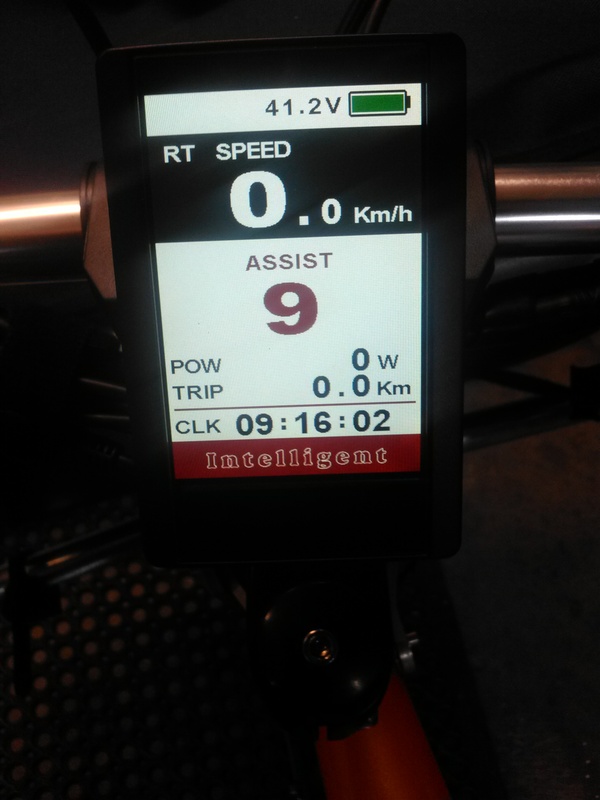 One nice feature is the ability to lock the device, so that a 4 digit PIN has to be entered before the bike can be used. 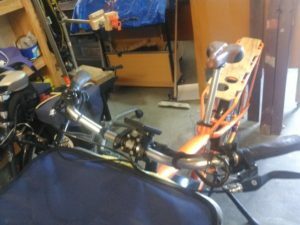 This is a very useful, as it means the bike can be left with the battery switched on, and the system can not be activated. I once had a customer fiddling with my old bike in the shop, who turned on the bike and twisted the throttle to full. Fortunately, it was only 30cms from a wall, so it didn’t go far. Pressing the up button for a second or more switches from daylight to night settings, pressing the down button in a similar way puts the bike into walk mode. Walk mode appears to work better than it did with the previous controller, which is a bonus. Pressing both the up and down simultaneously resets trip values – trip kms, trip time, average and maximum speeds. On the road, the display is easy to read, very clear and right smack in the middle! The buttons are easy to get to, and the controls are pretty much the same as the C963 previously used. 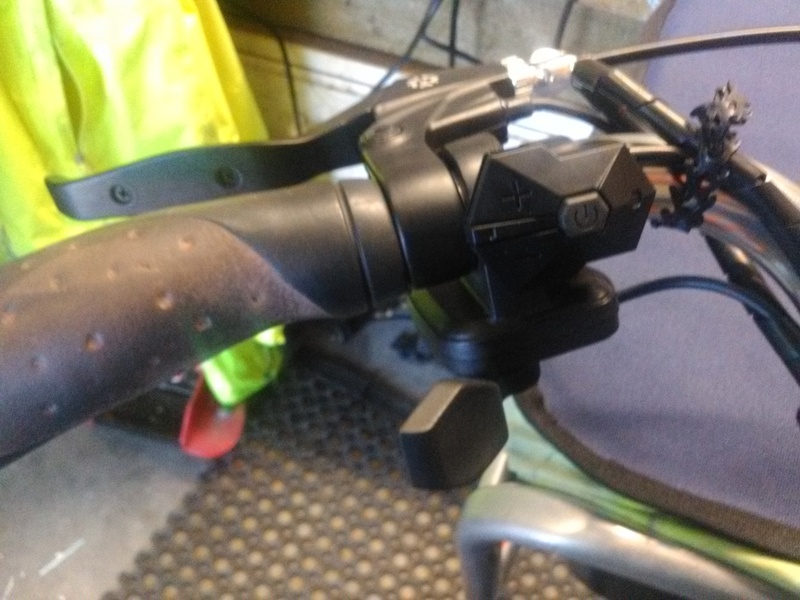 I haven’t done too much testing of the power delivery, it is certainly no less comfortable to ride, and the extra PAS settings appear to be useful, they are different enough to warrant having the extra 4 settings. Is it worth the money? The bike was perfectly usable with the old display, but I like the extra visibility and usability the new device gives, so yes, I think so. 1 Pings/Trackbacks for "Yuba dashboard upgrade part 2"